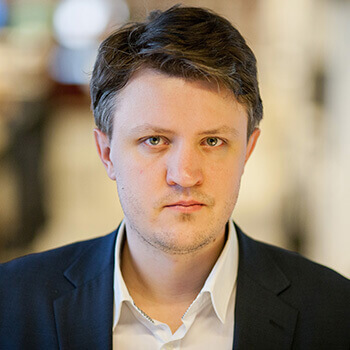 Habanero are preparing their slots library for the Italian market after they have received regulatory approval in the country to supply 33 of its games to providers there. Kicking off their 2018, the company has released 5 Mariachis, a Mexican inspired pokie game with 5 main characters. This is a much more feature packed experience than some of their other pokies which is a welcome surprise. This pokie naturally has a very upbeat mood and graphical style with players being joined on the reels by the 5 talented mariachis who make music for any occasion. Habanero have pushed this pokie’s RTP to 96.67% and allowed relatively high wagers to be made of up to 500. There are 25 paylines players can activate and the reel features a standard 5×3 design. All of the 5 Mariachis appear on the reels in this pokie, affirming that in this band it is all for one and one for all. They each function as a wild symbol here. Just like other wild symbols they will substitute themselves for almost any symbol required to complete a winning payline. If you are lucky enough to land multiple Mariachis on a payline a multiplier will be added to your wins equal to the number of wilds you have landed on a winning payline. The purple skull symbol is the scatter icon which will pay out winnings regardless of where on the reels it appears. 5 scatter icons can reward you with 50x your staked wager. The rest of the reel symbols are represented by spicy chillies, an acoustic guitar, maracas, a jalapeno and playing card symbols. 5 Mariachis includes a pick-me bonus game activated by the multicoloured piñata icon. Three piñatas are enough to activate this feature. Clicking on the triggering piñata symbols will reveal win multipliers that range between 2 and 100x the staked wager. The scatter skull icons can also activate the free spins bonus game. You will instantly get access to 15 free spins when this feature triggers. You will also see a new icon start appearing, a female mariachi. Every time she lands on the reels, each one of her symbols will turn into matched standard symbols potentially triggering a winning combination across the reels. Finally Habanero have also packed a progressive jackpot into this already stuffed pokie. This progressive jackpot can be won at random so any bet amount will qualify you for a big win. 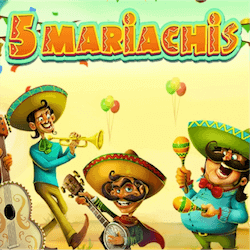 5 Mariachis is another pokie by Habanero that manages to hit all the right notes.